Important Health Benefits Of Marijuana you should know. The subject of legalizing medicinal marijuana will always provoke controversy. Most know marijuana as an addictive drug that can compromise time perception and memory, impair concentration and induce anxiety. But the Cannabis sativa hemp plant also contains two chemicals that seem to benefit a body in crisis. One is cannabidiol, or CBD, which treats numerous health conditions without causing a “stoned” feeling, and the other is tetrahydrocannabinol, or THC, a natural pain-reliever. As experts reveal more and more information about these chemicals, more and more states across the country—over 20 to date—are voting to sanction medicinal marijuana use in the treatment of diseases such as glaucoma and Alzheimer’s. Even CNN’s chief medical correspondent, Sanjay Gupta, has rescinded his original stance on the drug, now promoting its perks. Whether one agrees or disagrees with Gupta, however, legalization of medicinal marijuana will enhance researchers’ understanding of the drug’s effects for all users. Evidence already exist for making marijuana an official prescription for physical and emotional ailments. It has both preventative and rehabilitative properties, some of which are commonly known, and others that may come as a surprise. For instance, glaucoma, a condition that intensifies pressure in the eyeball, harms the optic nerve, and leads to vision loss, is supposedly less of a threat for those who smoke marijuana. The National Eye Institute asserts that marijuana users tend to develop a lower intraocular pressure than non-users who have either normal vision or glaucoma-related issues. Marijuana may even allow for greater oxygen intake, giving people the energy to participate more freely in physical activities. A study presented in the January 2012 issue of the Journal of the American Medical Association demonstrates improvements in lung capacity for tobacco smokers who turned to medicinal marijuana. Another study that analyzed the risk factors of heart disease, conducted over a 20-year period, discovered that young adults who smoked tobacco lost their ability to inhale deeply, while those who smoked marijuana increased it. Some claim that this expansion of lung capacity results from training the body to take deep breaths during marijuana inhalation, and not from any valuable chemical in the drug. Research published in the Journal of Pharmacology and Experimental Therapeutics in 2003 shows that the drug can also help to regulate seizures, epileptic and otherwise. Tetrahydrocannabinol (THC) in marijuana binds to, and therefore controls, the brain cells that determine levels of rest and excitability; it appears to protect cells from too much stimulation. As doctors have observed a reduction of seizures for certain patients from hundreds to one or two per week, many of them agree that marijuana just might be a viable way to curb the discomfort of children fighting seizure disorders. On the other hand, CNN reports that major health authorities, such as the American Academy of Pediatrics and the Drug Enforcement Agency, do not support marijuana use as a treatment for Dravet’s Syndrome. The chemical THC may also slow down the advance of Alzheimer’s, according to a Scripps Research Institute study. THC hinders the enzyme in the brain that produces amyloid plaques, which destroy brain cells and trigger Alzheimer’s. In addition, this chemical seems to ward off inflammatory bowel conditions such as colitis and Crohn’s. It strengthens the lining of the intestines, lessening the capacity for bacteria to penetrate. A study conducted in Israel proved that marijuana curtails the symptoms associated with Crohn’s, such as vomiting and diarrhea, and may even eliminate the disease altogether. Multiple sclerosis, Leeuwenhoek’s Disease, Parkinson’s, and arthritis are other diseases impacted by marijuana use. The THC latches onto the nerve receptors and muscles in the body to alleviate painful spasms and tremors, and in many cases, calms inflammation, betters sleep, and refines motor skills. When it comes to victims of Lupus, a disease in which the body signals the immune system to attack itself, the drug’s chemicals succeed in soothing the body’s impulse to do so. Marijuana helps patients who have found little relief from much more potent prescription medication designed specifically for their conditions. The benefits of marijuana extend to individuals struggling with the aftermath of emotionally and physiologically damaging life events. Veterans battling post-traumatic stress disorder may soon find themselves the subjects of a study, sanctioned by The Department of Health and Human Services, that will test the effects of the drug on their recovery. A small number of states, including New Mexico, have already determined PTSD as sound cause for medicinal marijuana treatment. Cannabinoids in the marijuana are able to moderate sensations of fright and apprehension. Those who have withstood concussions or other head-related injuries might find healing powers in marijuana, as well. The journal Cerebral Cortex published a study that indicated a reduction in bruising and an acceleration in recovery when concussed patients self-administered marijuana. Along similar lines, Hepatitis C sufferers who undergo marijuana therapy tend to finish their treatment regimens more often than non-users. A study from 2006 even testifies that marijuana boosts the efficiency of those treatments. 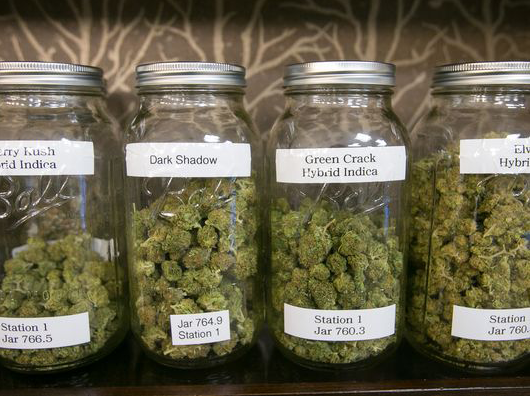 Many have heard of the possible advantages of medicinal marijuana for cancer patients. In 2007, California Pacific Medical Center in San Francisco announced that cannabidiol (CBD) may halt the spread of cancer by rendering useless the Id-1 gene, a gene that cancer cells imitate frequently, causing them to multiply throughout the body. In Spain and Israel, researchers are agreeing that the compounds in marijuana are dominant enough to annihilate cancer cells completely. In the meantime, while research continues in this area, cancer patients can count on the drug to decrease the side effects of chemotherapy, such as nausea and appetite loss. Taken in appropriate doses, marijuana can lessen anxiety, as well—though higher doses may lead to paranoia. Some doctors insist that THC pills, Dronabinol, offer patients the same or improved results in comparison to smoking joints. All of these circumstances of using marijuana as a therapeutic remedy possess clear-cut advantages. What people may not know is that the drug can provide an alternative solution to health concerns that are less critical, but that may affect an individual’s quality and longevity of life. For example, a study presented in the American Journal of Medicine about a year ago acknowledged that those who smoke Cannabis are leaner than average, burn calories more efficiently, and process sugars more healthfully. The dopamine in the drug could also help people to release their inhibitions, to try new experiences more willingly, and to let their minds play—all reactions that lead to greater creativity. In particular, studies have shown that those who smoke marijuana draw on a more extensive vocabulary and speak more easily and openly than those who do not. Despite spurring this increase in imaginative daytime thinking, marijuana might actually prove useful in preventing nightmares. A definitive verdict on this topic is still forming, as the drug can interrupt REM sleep and aggravate heavy users over time. But if bad dreams are torturing someone with PTSD, marijuana can save that person from the experience by disrupting the REM phase. A valid case also exists for marijuana as a less-damaging recreational agent than alcohol and other drugs. Marijuana does not invoke the same level of dependency, and does not impose consequences on the body as lasting or as harmful. People should not bank on marijuana as a miracle treatment for every illness. But if they investigate the pros and cons to this traditionally scorned drug, they might find that its legalization warrants some consideration.